QuickChek has strong local roots that began in 1888, when Durling Farms served the central New Jersey region. Over the following 75 years, the Durling Farms brand became synonymous with quality milk and dairy products delivered fresh door to door. In 1967, the very first QuickChek was opened to provide loyal Durling Farms customers a neighborhood shopping destination for their own milk as well as a full range of deli and other food products. 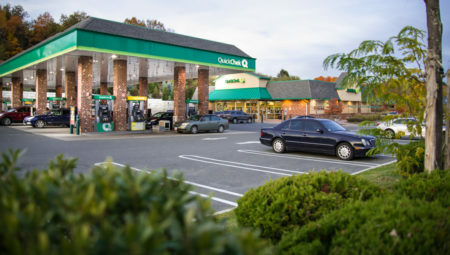 QuickChek is still owned by the original Durling Family, having grown from its first location in Dunellen to more than 140 stores and over 3,500 valued Team Members throughout New York and New Jersey. Today's we remain the market leader by providing one-stop shopping, offering value and a wide variety of grocery and market items to meet your needs. Guided by the principles of our Total Customer Dedication program, QuickChek is dedicated to delivering what our customers want. 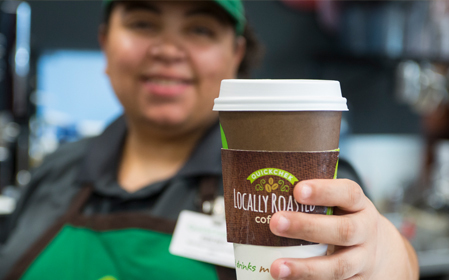 We pride ourselves on our fresh-brewed coffee, which consumers voted the best coffee in America in a recent national survey conducted by Technomic. Maintaining our family culture, our mission is to be A Great Place to Work, A Great Place to Shop and A Great Place to Invest. Every one of our strategies are grounded in that mission. We Love our Team Members! With over 3,500 team members, we strive to create a positive, fun environment where core values are nurtured, great work is rewarded and leadership is cultivated. Click HERE to learn more about how much we care. About you, our communities, and our people! ©QuickChek Corporation. All rights reserved.